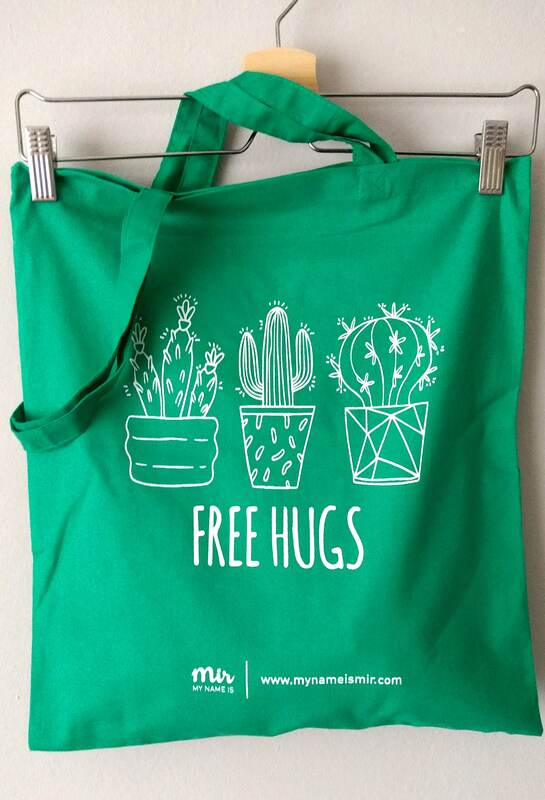 Funny tote bag (100% cotton) with the message: "FREE HUGS". It is a good quality bag and it is individually printed manually in Barcelona. Nice, good quality and resistant. Perfect to go shopping, go out and carry books. The bag is white and it is printed in white manually and only by silk-screen printing. 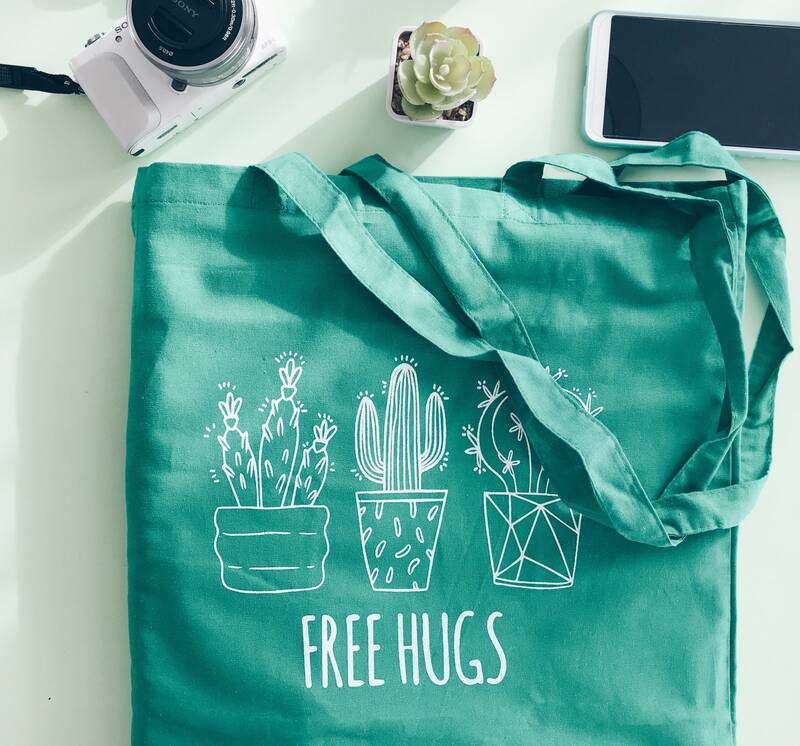 This bag is 100% cotton and you can wash it, even though we recommend you to wash on its own the first time (just in case), not centrifugate and with cold water.